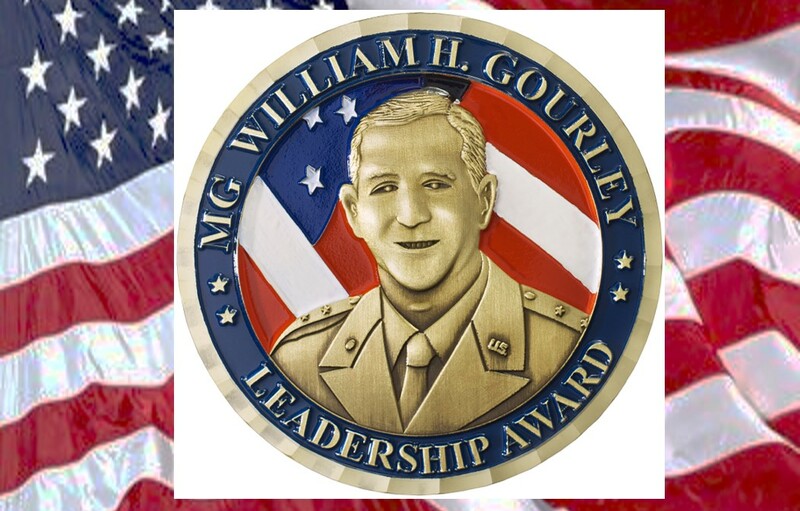 To recognize the Adjutant General Captains Career Course officer who best emulates the qualities of leadership embodied by MG William H. Gourley during his more than 40 years of service to our Corps, Army, and Nation. Any officer graduating from the Adjutant General Captains Career Course. The Adjutant General School at Fort Jackson, South Carolina establishes the standard and award criteria for selecting AG CPTs for this award. MG (Ret) William H. Gourley served as the Honorary Colonel of the Regiment from 1990 – 1999. The Gourley Corridor and his Ten Golden Rules are a permanent fixture in the Adjutant General School at Fort Jackson, SC. Once the Adjutant General School has selected the AG CPT winners for this award, they will notify the AGCRA VP for Awards in order for award certificates and medal sets to be prepared for presentation. Point of contact at AGCRA is awards@agcra.com or mail to the Adjutant General’s Corps Regimental Association, ATTN: VP for Awards, P.O. Box 10026, Fort Jackson, SC 29207-0026. Please allow one week for awards processing prior to the requested presentation date. The medal and award certificate are presented at Adjutant General Captains Career Course graduation ceremonies.